I participated in a campaign on behalf of Mom Central Consulting for Welch's. I received a promotional item as a thank you for participating. 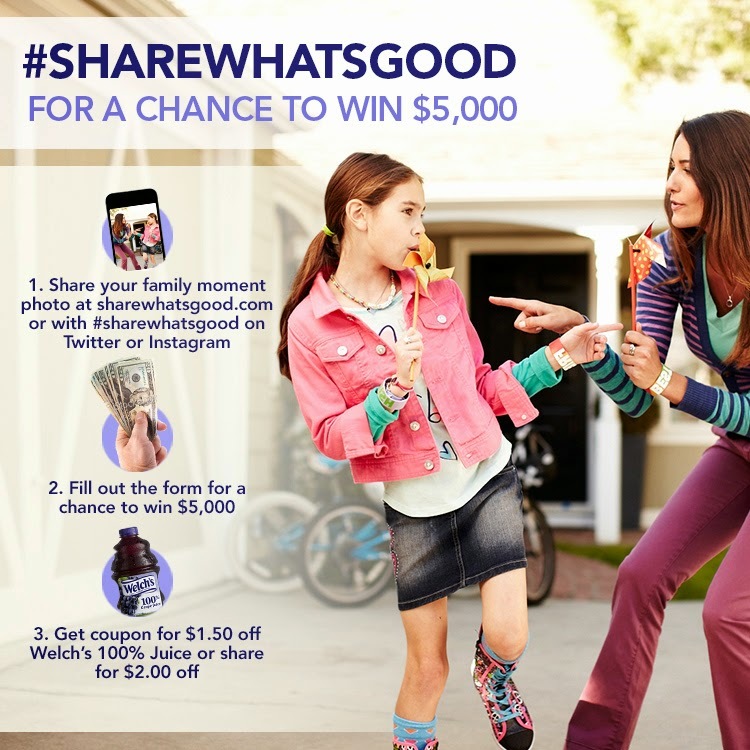 Welch’s has launched the “Share Your Moments” photo contest! From 9/16 to 10/25 you can upload a photo of your favorite family moment for a chance to win $5,000! There is one grand prize winner, and it just might be you! Visit Sharewhatsgood.com to enter. Last weekend my family had a great #ShareWhatsGood moment at my brother's wedding. I have so many great photos from the weekend that it's hard to share the best moment. It was a fantastic wedding and we had so much time. They were so excited to get married and you could see that excitement from a mile away. I requested that the photographer take a picture of my brother the moment he saw his bride. I can't wait to see that picture; it is the best moment of the wedding for me. I think this is my favorite picture that I took all weekend. My twins spent a few minutes hugging and laughing and I actually captured the moment! These are the moments that I love to remember, my twins showing how much they love each other. It makes up for when they're fighting. There are so many special moments in our daily life, no need to wait for a special occasion to find a great moment. Here is one of my favorite moments with my daughter lately. She dresses herself, can you tell? Head on over to Welch's and enter the contest today. It ends on October 25, 2013. Make sure you're following Welch's on Facebook and Instagram to stay updated with new products and promotions.